In an age when things are abundant and people want less, designs are increasingly important for our customers’ businesses.Our professional and experienced Design Team supports our clients to protect their design rights from the pre-application to post-registration of their designs. For example, we conduct design search on third parties’ prior registrations before actually filing a design application, respond to Office Actions, and file lawsuits when our clients’ design rights are infringed. We also assist our clients in avoiding third parties’ unrighteous obtainment of our clients’ designs or execution of such rights against our clients, through design investigation, an expert’s opinion, and/or filing of an invalidation trial. It may seem rather simple to prepare a proper design application; however, it is very important to be careful in considering the possibility of registration and in defining the scope of design protection before filing a design application. For example, it is necessary to determine whether the scope of protection should be the entire design or a partial design, in consideration of the publicly known designs. Further, variants of the applied-for design are often created at the same time or maybe added afterwards. In such cases, we may need to be quite strategic and advise our clients that they file a related design application or a secret design. In close cooperation with the patent and law firms abroad, we support our clients all over the world who are willing to export their goods into the Japanese market. Negotiation and contracts for design assignments, licenses, etc. A design that can be registered in Japan is a shape, a pattern, or a color of an article or part of the article.A partial design of shape, pattern or color includes a screen design that is used for operating the article. When a design has become widely known due to the long use thereof, such a design may sometimes be recognized as a sign that can distinguish the goods/services from those of third parties and may be registered as a trademark, which is renewable without limitation. In order to register a design, it is necessary to satisfy requirements such as industrial applicability, novelty, and difficulty in creating the design. 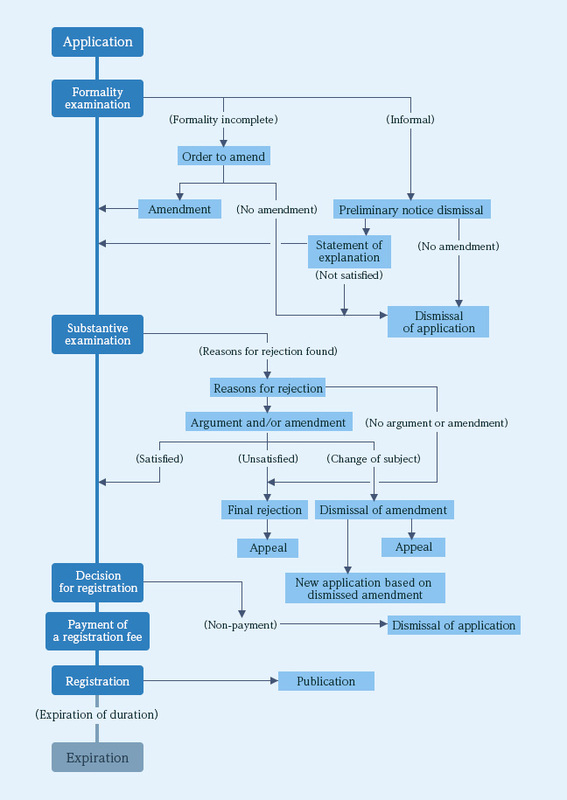 If the examiner finds that the design application does not satisfy either of the requirements, the applicant needs to prepare a proper reply by, for example, filing a written opinion, making amendment, and so on. Once the design is registered, the applicant is granted with a Design Right, an exclusive right. The owner of the design right can impose an injunction against unauthorized use of the registered design, and in some cases may sue for compensatory damages. As in the cases of other intellectual properties, a design right is granted according to the law of the country or region in which the design application was filed.That is, for example, even if a design registration is granted in Japan, it does not mean you also have rights in other countries or regions. A design registration is necessary in each country or region where you want to provide your goods using the mark or grant licenses for use of the design. As from mid May of 2015, Hague Agreement Concerning the International Registration of Industrial Designs will also be applied in Japanese design applications.